In the face of worldwide outrage at this year's bear hunt, the state's first in 20 years, Florida officials say they now plan to hold another one next year, and maybe beyond. "It's our intent to have a hunt annually," Diane Eggeman, director of Hunting and Game Management Division, told the Sun Sentinel's David Fleshler. "Everything is on the table at this point. We're going to assess how the hunt went." The state's fish and wildlife commission ended the hunt Sunday with 295 confirmed kills in just two days, nearing the 320 cap. 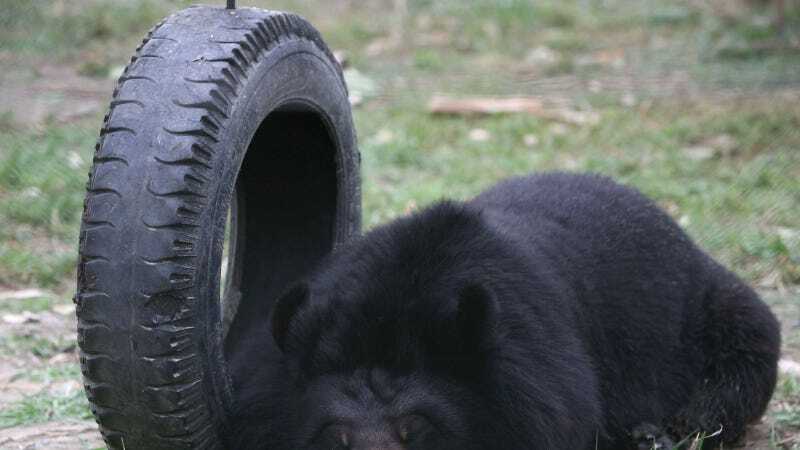 The commission released a statement saying more bears had been killed than expected. In Florida's eastern panhandle, hunters killed 112 bears, nearly triple the quota of 40, Fleshler said. The commission is investigating reports of illegal baiting. Environmentalists continue to express outrage at the event. "The hunters found them and killed them very quickly," Frank Jackalone, senior organizing manager for the Sierra Club of Florida, told Fleshler. "The FWC was caught with their pants down. They were surprised." But the state continues to defend the hunt. "We got a good start on advancing our objective of stabilizing the large, healthy and growing bear population," Eggeman said.